Joomla website development is widely used as it is one of the powerful content management systems for business websites. As it is an open source platform for website development, owners really find it cost effective to use powerful CMS like Joomla for their business website. 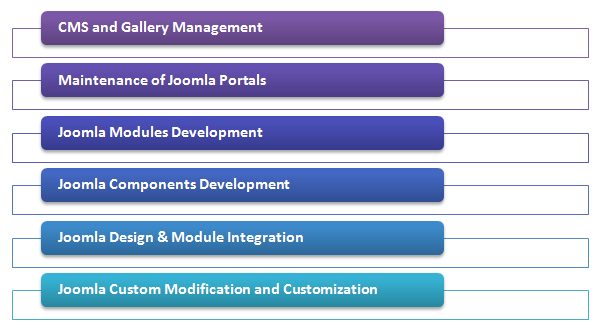 There are many benefits of using Joomla CMS and most of them are explained below. Read more – How Joomla CMS development can turn any link into lightbox? Hire our team of professional Joomla developers and get perfect custom solution for Joomla CMS. Our development team ensures to add their innovative ideas to provide you out-of-box service and deliver great customer satisfaction. Reach to us with your website idea and let our developers guide you through.